Hi, Shorties! 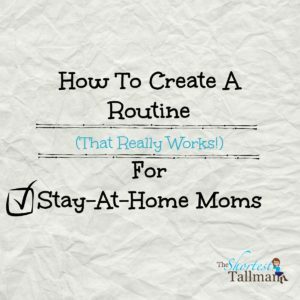 Today I want to share with you my take on routines. Ah, routines- such a love/hate relationship. You need them, and kids do crave them, but they sure do resist them a lot, too. Finding the right balance of spontaneity and the tedious accomplishment of daily tasks is tricky business. The routine is your safety net that allows you to jump into life, but it can be a straightjacket if you go too far. When I left my career and became a Stay At Home Mom (SAHM), I realized that this whole managing my day business was going to be something I had to reckon with. 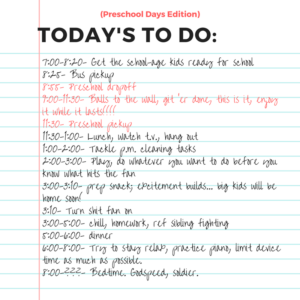 Sure, I had been home for whole summers since forever as a teacher, and I utilized routines with the kids, but there are simply less requirements, so therefore time management could be a lot more forgiving. Reckoning with time management and routines are the difference between loving being a SAHM and losing your mind. And, not just frustration… that’s only how it starts. I’m talking, losing your ever loving mind, existential crisis stuff. And that was a plane I would like to avoid getting on. So, a daily routine I began to tinker with. I looked at what I was working with, where the hard lines were. We get up at a certain time, go to sleep at a certain time (more or less), eat at certain times, and have scheduled activities to contend with. 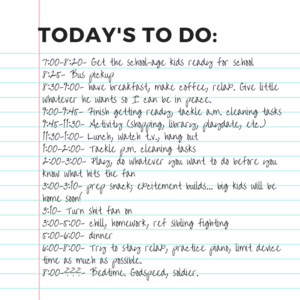 The rest of the day must be filled with housekeeping tasks, play, and self-care activities for mom. Whaaaaa??? Yup, those must be worked in: I wrote about why self-care is so important to moms in this post. My favorite part about being a SAHM is that I am flexible. We can change the routine I have set whenever we want, for the most part. Surprise lunch date with Daddy? Visit from Grandma and Grandpa? Special community activity we want to attend? Appointment at the Apple Store? lol. Whatever it may be, we can often work it in. And I really try to take advantage as much as I reasonably can, because I can remember feeling like I was in shackles at my job, and I want to both take advantage and seize the opportunity, as well as honor myself and what it took for me to get here. So, we’ve got our restraints. Next, we’ve got the housekeeping stuff that has to get accomplished. Doesn’t have to be met with perfection, but everything in life starts to fall apart when the house falls apart, so it needs to be addressed routinely. For that, I have come up with a weekly cleaning calendar, a la Clean Mama. She’s the go-to for all things cleaning- how to’s, favorite products, and how to fit in cleaning in your routine, so go straight there, do not collect $200, just go there. 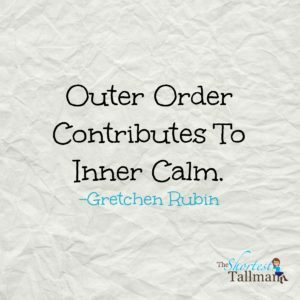 How’s this for a quote about keeping an orderly home? Scheduling commitments, check. Housekeeping commitments, check. Now on to how we fit it all together with the best part of the day- the fun stuff! Now this is not to say that I follow this precisely. I do not. But this is my day, more or less. I fit my self-care endeavors: reading, writing, meditating, a lil yoga here and there, usually in that 2pm hour and in the 8:30-9:00 morning slot before we really get our day going. And, of course, we have activities to contend with almost every day of the week (mostly in the evenings), so that gets factored in, things adjusted accordingly. I have a basic routine that I follow. Gots-sta gots-sta have one. Mid-late morning works best for outings. Afternoon outings always involve more tantrums. I am realistic and flexible. Having this routine allows me to feel at ease when I have to shift things around. 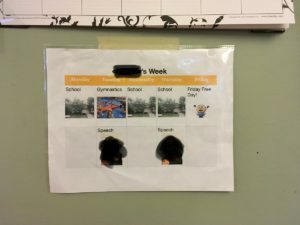 So for this preschool-appropriate weekly routine calendar, I use actual photos (besides the Minions pic!). With Littler Tallman, I actually used 4×6 prints on a poster board; this go around, I wanted something smaller. It is right underneath our monthly calendar at our family command center, eye-level for Tiny Tallman. Everything really stems from this truth. 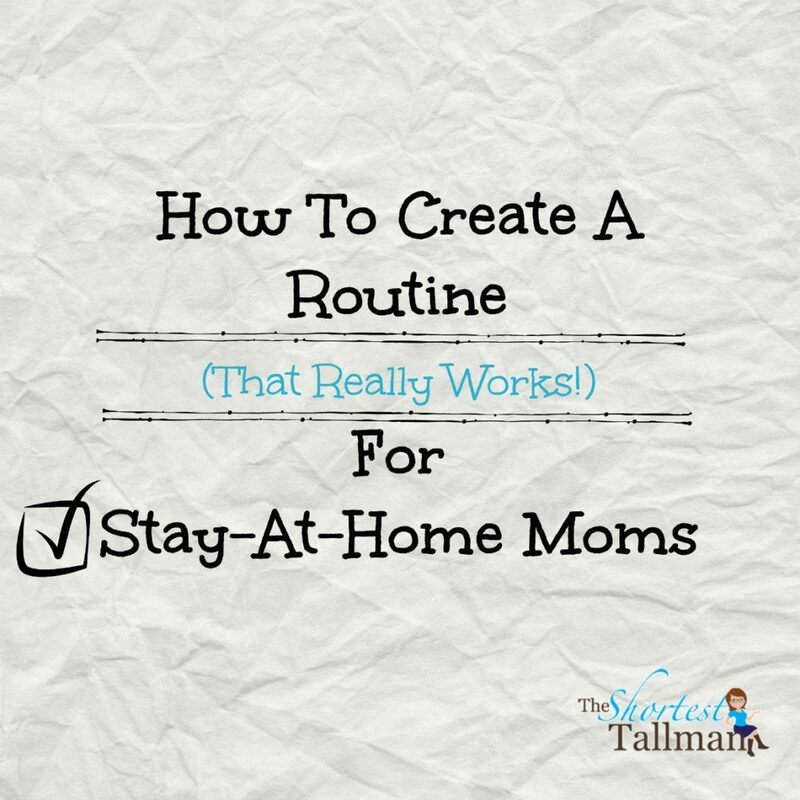 Your routine as a SAHM has to lead to this truth; all of the moving parts that you nail down has to come from that. What is important to you as an individual, and what is important to you are a mom? Your routine should reflect that, because it’s the difference between loving it- or losing it- as a SAHM. My M.I.L. is a pretty smart lady, huh? How do you go about making a routine that works for you? Do you have any tips or tricks to share? I also wrote another post about routines, specifically for summertime! You can find it here.